We had another snow day today. Ok, it has basically turned out to be a barely-any-snow-with-small-patches-of-ice day, but we got to sleep in on a 20 degree morning, so it’s hard to complain! As I lay in my bed this morning with my three-year-old Golden Retriever lazily snuggled up next to me, her head on my chest, I starting thinking about my own snow days many years ago. I’m sure you remember those – the days before crazy, aggressive drivers, and lawsuits against school systems, and all of the other ridiculous reasons we now cancel school at the sign of the first flake. In those days, snow days were truly SNOW days, when you woke up and jumped out of bed, ran to the window, and the entire world was blanketed in white all the way up to the window ledge. I remember one time, the winter I was eight, when my father had to dig tunnels through the snow so that our dog, Snoopy, could go out for a run. Once the sun was high in the sky, all of our neighbors came outside and worked together to uncover cars and dig everyone out while we children made ice blocks and built igloos! Many snow days were spent baking with mom or doing puzzles on the big card table in the basement. Those are the things I remember about winters when I was a child. In the spring, we often took a trip into DC to visit the Botanical Gardens. Easter was spent at my grandparents’ house and usually ended with a giant game of cousin football. What I recall the most about those times was that we somehow always ended up caked with mud and having a wonderful time. Summer meant lots of time outside. Once every couple of weeks, we would go to the Smithsonian for the day. If we were very lucky, we might pay to swim in the pool at a local motel or be invited to the one house in the neighborhood that had a pool in their backyard. My absolute favorite times were the weeks I spent at my grandparents’ house in the country where I picked blackberries that grew along the path behind the barn, spent many mornings on Granddad’s boat catching fish and pulling up bountiful baskets of Maryland Blue Crabs, helping Grandma take the clothes off the line (I can still smell the fresh, clean scent) or simply playing Canasta with my friend, Lynn, who lived on the farm across the road. Back home, we spent our days playing street hockey at Cindy’s or night tag at Laura’s. Sometimes I wonder how many children will grow up with these types of childhood memories. Will they have no recollection at all of time spent with friends and family because all of their retention powers were eroded by video games and tiny screens of text? I wish I could take my children back in time and share with them my childhood. We didn’t travel or have a lot of useless gadgets and gizmos. We never, ever made the trip to Disney (we took my parents there after I had three children of my own) or flew anywhere on a plane; but I wouldn’t trade a single day of my childhood for anything in the world. It’s all of those little things that we did that made me who I am. Those are the memories I cherish. So I’ll sign off now and get the girls out of bed. I think we’ll go outside and take some pictures, maybe try to find a big enough patch of white to make a snow angel, and then we’ll come in and bake something completely unhealthy and eat the whole batch. I hope that someday they’ll look back and count this as a day to remember. In 1801, John Marshall was appointed Chief Justice of the Supreme Court and is still considered today one of the greatest Justices in our country’s history. In 1901, Queen Victoria died after 63 years on the throne. In 1929, Martin Luther King, Jr. was born – talk about a man who made a difference! In 1938, Thornton Wilder’s play, Our Town, was performed for the first time and influenced every stage production to follow. In 1964, the Beatles released their first American album and changed the course of music in this country forever. In 1981, President Reagan became the oldest President in US history. In 1997, Madeleine Albright became the first female Secretary of State. In 2009, Barack Obama became the first African American President in US History. The book, The Five People You Meet in Heaven, takes a centuries old teaching and brings it to life – every little thing you do, every choice you make, affects another person. 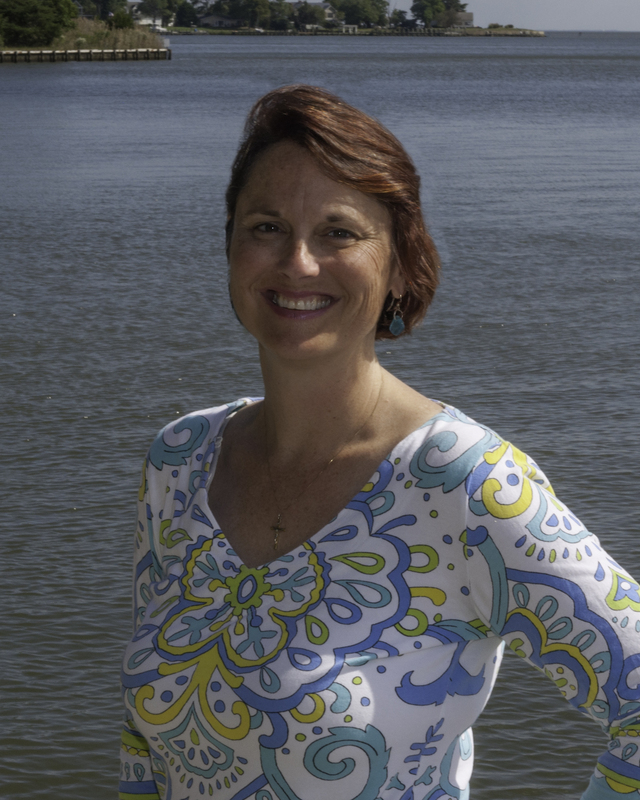 I have been a mother for almost 19 years, a Girl Scout Leader for 12 years, a camp director for 9 years, and a novelist for the past few years. I like to think that I have been able to touch the lives of hundreds of people in some way through one of these channels. 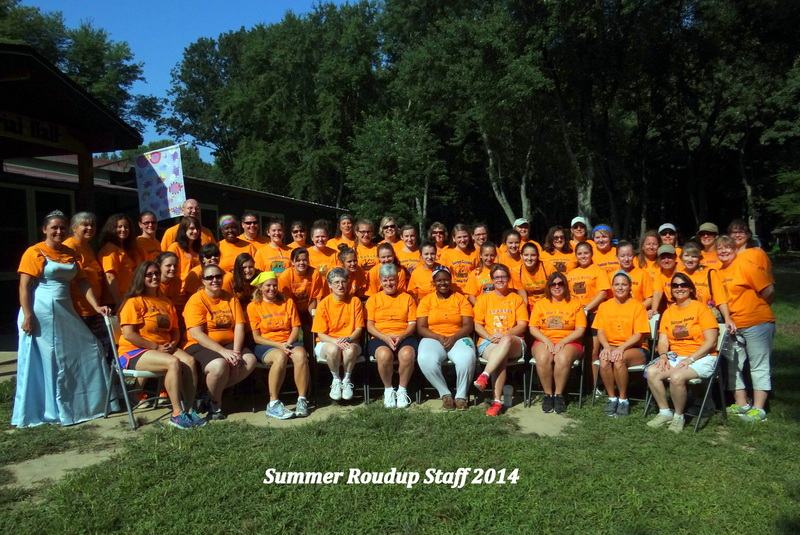 Every summer, I see the affect that my wonderful camp staff has on the 100 girls with whom we work. I have watched my own mother touch the lives of people she probably doesn’t even realize she has influenced, and believe me, there are many, perhaps thousands, who are the people they are today because she came into their lives in some way. How are you making a difference in the world? It doesn’t have to be a grandiose gesture; it can be just a stone cast across the waters that causes a ripple. Every one of us has the ability to influence countless people each and every day. What is the mark you are leaving on those around you? In some way, it just may be the mark you are leaving on the world. Make it count. Do you have a favorite family tradition from when you were little? 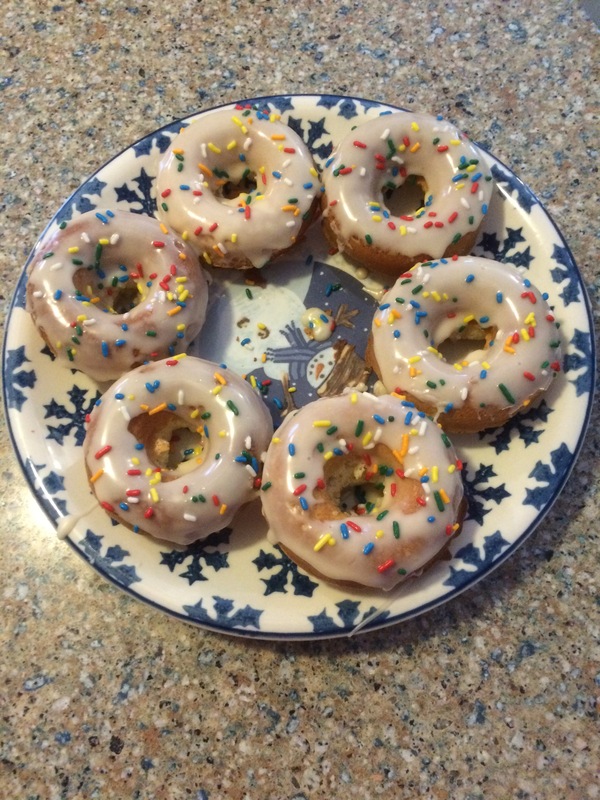 I think that both of my brothers would agree with me that one of our all time favorite family traditions was making homemade doughnuts on the first snow day of the year. Of course, back in the 70s, they were deep fried, like everything else was back then, but oh, they were so good! I’m not sure how many we ate in one day, but it was a once a year tradition, so I’m guessing our Mom turned a blind eye when we snuck back for more. I don’t know when or why the tradition stopped. At some point, I guess my brothers and I started sleeping in rather than getting up to make doughnuts. I do know that ever since I’ve had children, I have awaken on snow days thinking back to those fun times in the kitchen with Scott, Michael, and Mom. I can still picture us huddled around the kitchen counter taking turns putting in the ingredients and mixing the batter. After they were baked, we dropped them into powdered sugar for the boys and sugar-cinnamon mix for me. Sometimes I feel like I can taste them. No doughnuts from any chain bakery could ever compare. Today is our school’s first snow day of the year, and guess what my mother gave all of us for Christmas this year? She gave us a pan for making baked doughnuts and a recipe to follow. She says she has tested it out, and while they’re not the same as the good old fried ones we used to make, they are pretty darn delicious. I don’t know how they taste, but I do know that my youngest daughter, Morgan, is having a lot of fun at the moment frosting them with homemade icing and topping them with sprinkles. So if you don’t mind, I think I will sign off for the week and have myself a doughnut. 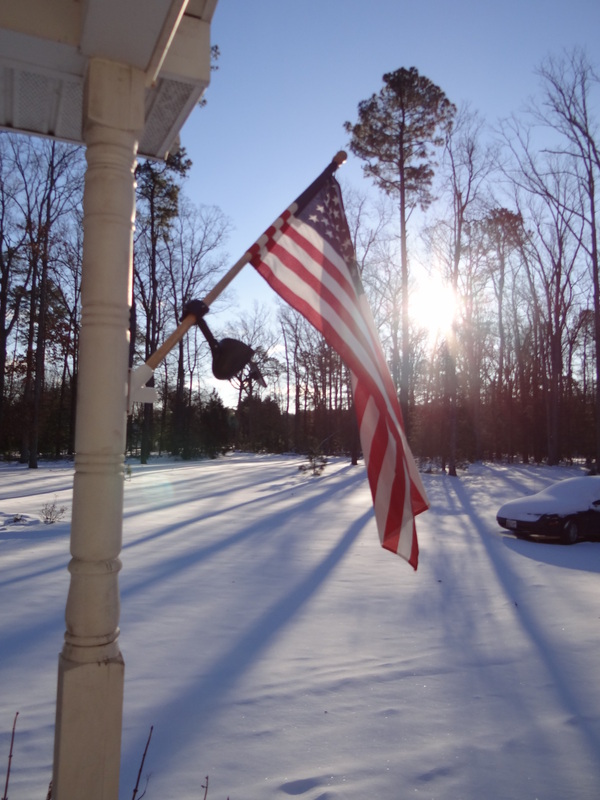 What snow day tradition will you continue or re-establish this year? Have you ever taken a long road trip with your family? Movies and television shows always portray these trips as the absolute worst kind of torture a family can inflict upon itself. Sure, everyone can get irritated with other, and someone always falls asleep and wakes up cranky, but there’s a lot to be said for spending time together in a small space with nobody to talk to but each other. Meanwhile, the snow was really coming down here on the Shore as well, and schools were letting out early. I headed to town to pick up her sisters, and we hit the road. Three hours later, after driving through some pretty heavy snowfall on Interstate 70, we made it to the campus. For the next three hours, Rebecca talked about her trip – the people she met, the things she learned, how her deep faith had been strengthened even more. Her sisters shared stories about their New Year’s party and the first day back at school. I don’t think we turned on the radio even once, and no movies played on anyone’s electronics. Though Katie and Morgan took turns nodding off, we spent the entire ride talking to each other. Does anyone even remember what that’s like? To spend hours with other people just talking to each other? It reminded me of the many road trips we’ve taken as a family. We have driven cross-country and back numerous times, to Florida and back just as many times, and to Boston and back twice. Sure, the girls had a DVD player in the back of the van for many years, and then they all acquired their own personal devices; but many times, we talked, we sang, we played games, and we loved it. Were there arguments? Sure. Did someone always end up poking, pinching, or punching someone else? Of course they did. But I don’t think any of our children would trade a minute of those family trips we took, car ride and all. We always looked at the ride as part of the adventure. 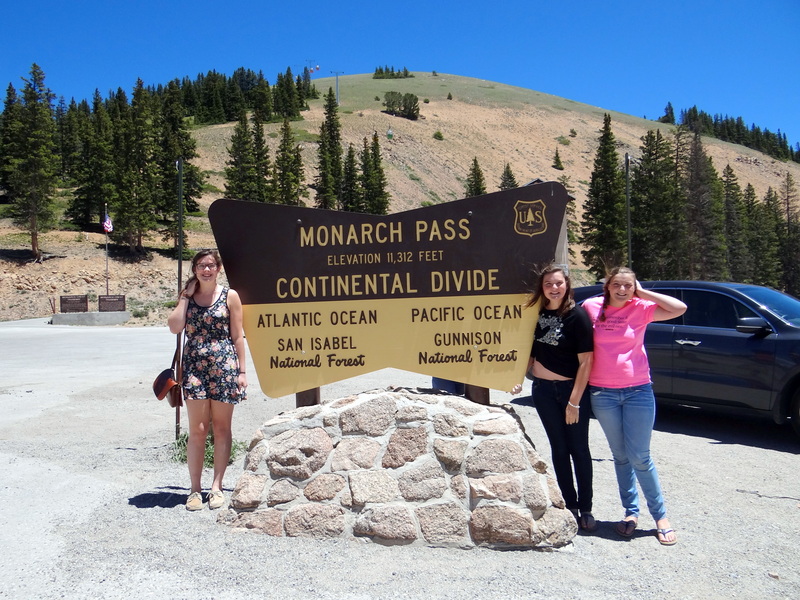 Yes, we’ve seen the great Corn Palace of South Dakota, the world’s largest sandhill crane, and the world’s biggest concrete buffalo, and the girls still talk about every one of those things in addition to the many little museums and country stores we visited along the way. What we learned on those trips can be applied to many other areas of our lives: you have to make an effort to get along with others; you never know what treasure lies around the next bend; there’s always more than one route to get to where you’re going, so choose wisely; don’t forget to look around and to take a break along the way; keep your sights set on your destination, but know that how you get there is just as important. If you’ve never taken a family road trip, I highly advise it. You never know what you might learn along the way.